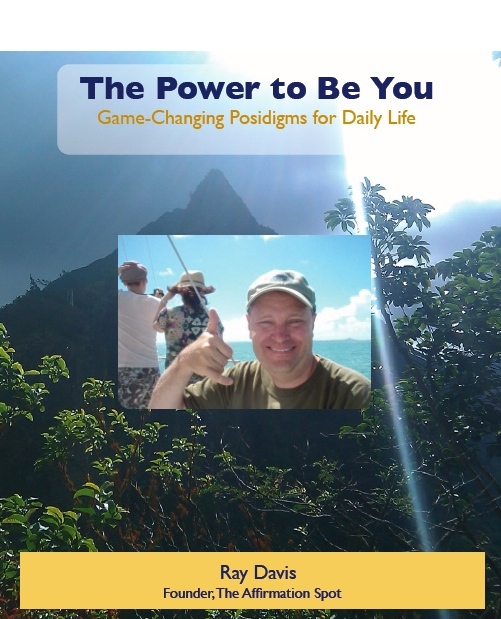 Learn more about Ray’s new ebook The Power to Be You: Game-Changing Posidigms for Daily Life. Watch this intro video. First my ebook, The Power to Be You: Game-changing Posidigms for Daily Life, is now available as a PDF download. The book has been available as an iPad app for a couple of months. With the release of the PDF version, more people will be able to enjoy this power-packed book with over 400 paradigm-shifting daily thoughts. The book was written to challenge, motivate, and help you transform your life one day at a time. I want to take this opportunity to thank all of you – my Facebook friends, my Twitter followers, my LinkedIn connections, and regular readers of this blog. Without your encouragement, support, and feedback that what I am writing is helping you, this would not be nearly as exciting or rewarding as it is. Please check out the new site. There is a bio that shares more of my own story and my road to now. Love your site and all the positive thoughts that you’ve generated. Keep touching others.